A wide range of English-taught programs and courses; high-quality education; a peaceful and safe society. These are the main reasons why international students choose to study in Norway. Canadian Sara Christopher (22) loved living in Norway and is considering going back for her Master’s thesis. The Norwegian Centre for International Cooperation in Education (SIU) recently conducted a survey of over 3,000 international students at Norwegian institutions. Why did they choose Norway and how satisfied are they with their studies and stay in this Scandinavian country? The responses from Canadian students show that Canadians appreciate the English-taught degree programs and courses, the unspoilt countryside, and Norway’s peaceful and safe society. The chance to improve career possibilities ranks as reason number four. University of Victoria student, Sara Christopher, spent a semester at the BI Norwegian Business School in Oslo, the Norwegian capital. 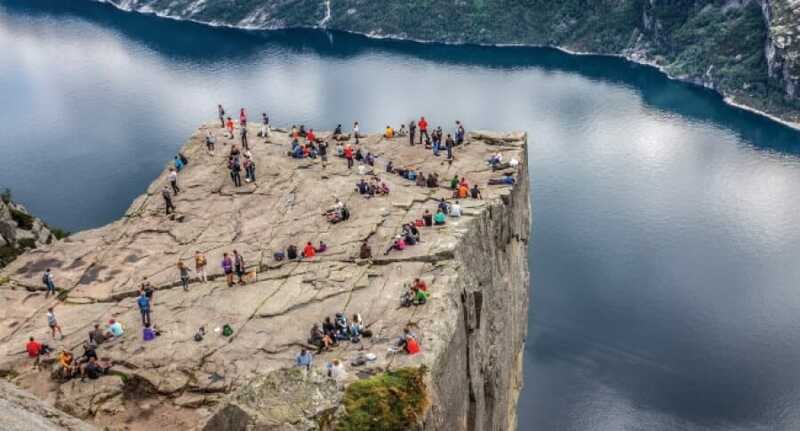 Three in four international students report that their overall impression of Norway has changed in a positive or very positive way during their stay. For most of the remaining students, there has been no particular change in their overall impression. Sara Christopher is definitely more positive about Norway now. Christopher’s observations are in line with the results from SIU’s survey. In general, all respondents – both native and non-native English speakers – are highly satisfied with the English-teaching abilities of teachers at Norwegian institutions. Also, perhaps not surprisingly, Canadian students are the ones with the least problems dealing with the Norwegian climate. Sara Christopher knew even before starting her degree at the University of Victoria that she would be going on exchange. She says that her faculty in Canada has done a good job of integrating the exchange semester into the degree. She would advise future students to make the effort to get to know Norwegian students. “Many of the other exchange students decided to just be friends with other exchange students, but for me it was more important to get to know locals so that I could learn more about Norway and Norwegian culture. My Norwegian friends are fabulous and very hospitable – they truly made my experience unforgettable. The quality of education is a decisive reason for students to choose Norway as a study destination, combined with the fact that many degrees and courses are taught in English. 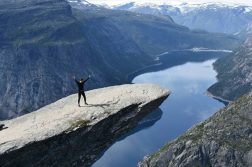 What was the most important academic outcome for Sara Christopher as an international student in Norway? “Before coming to Norway, I was interested in operations management and logistics, but I wasn’t exactly sure what I wanted to do with it. Studying in Norway helped me realize my passion for transportation logistics through courses in the shipping management program at BI Norwegian Business School. In speaking with Canadian transportation companies, the general response has been overwhelmingly positive as they have noted that experience like mine is hard to come by with new graduates,” she says. In her experience, studying abroad also means great opportunities to learn and grow as a person. Sara Christopher found that the way courses are structured differ a lot between Canada and Norway. Now, guess who, on average, found coping with academic demands least difficult, according the survey? Yes, the answer is: The Canadian students. Sara Christopher stayed in Oslo in the autumn 2013 before going back to the University of Victoria, where she just graduated her with her Bachelor of Commerce. Her future plan is to gain some experience in the transportation industry and then go back to school to do a Master’s degree in operations or logistics. Actually, over half of the respondents consider staying on in Norway after they finish their current study program. For the degree students, the numbers are even higher (70%). The Norwegian labor market is a big draw here. Good career opportunities and a high wage level are the main attractions for those who consider working in Norway. 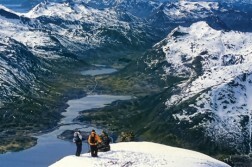 Norwegian nature figured frequently among the reasons why the respondents had chosen Norway as a study destination. 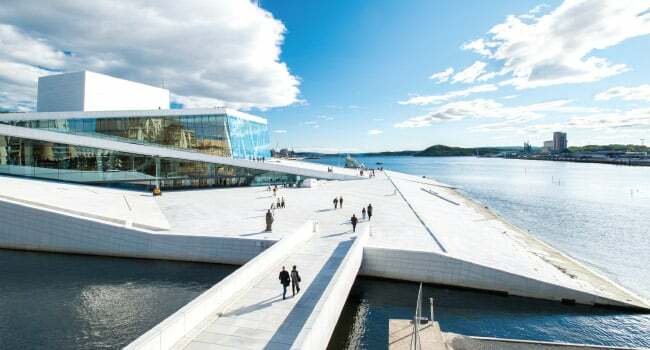 Some focused on the landscape’s unspoilt character, the cleanliness of the air and water, and the tranquility of even larger towns such as Oslo and Bergen. In addition to this, some respondents focused on the opportunities for outdoor activities. Sara Christopher was also attracted by the peaceful and clean countryside. All in all, what was the best thing about living and studying in Norway? Norway has eight accredited universities, nine accredited specialized university institutions, 22 accredited university colleges, two accredited national colleges of the arts, and several private institutions of higher education with either institutional or program accreditation throughout Norway. More than 250 Master’s programs and an increasing number of Bachelor programs are taught in English. 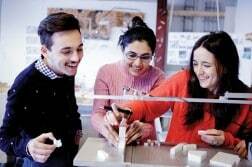 Internationalization is a priority within all sectors of the Norwegian education system, and universities and university colleges are constantly working to welcome more international students. More and better academic cooperation with Canada and the United States is highly prioritized. Around 19,000 foreign nationals are currently enrolled at Norwegian higher education institutions. International students may apply for admission to a variety of undergraduate and graduate degree programs. From vocational subjects to postgraduate and doctorate level programs, there are plenty of opportunities for students to fulfill their ambitions. You may come to Norway as a student through established exchange programs, institutional agreements, or as a so-called “free mover”.